Guard n Aid Pest OFF PLUS contains the active ingredients of natural Pyrethrum and Rapeseed oil. A broad spectrum Pyrethrum-based contact insecticide for the control of many sucking and biting insects including White Fly, Aphids, Thrips, Mites, Scale Bugs, Caterpillars, Wool Bug, Mealy Bug, Beetles and some Wasp larve. 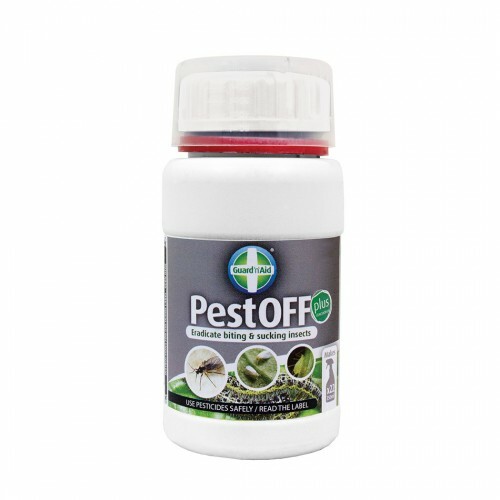 Effective against adult insects, larvae stages and eggs.